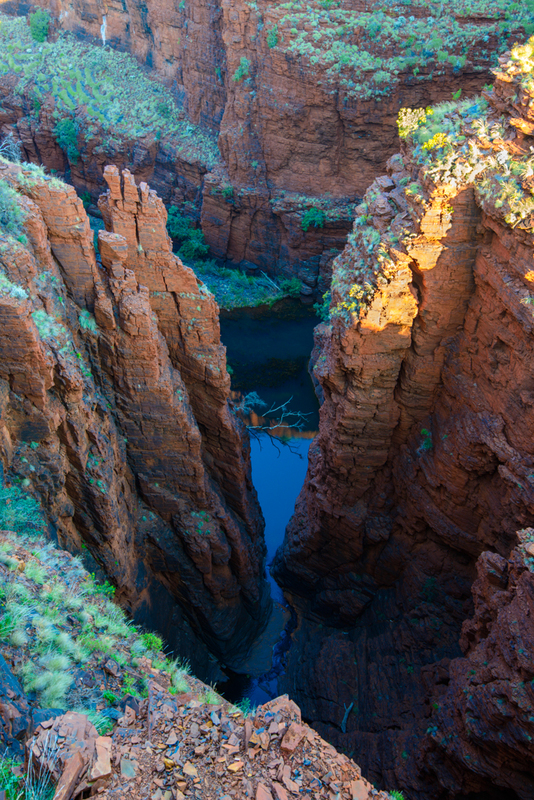 Karijini National Park is a wonderland of spectacular sights. 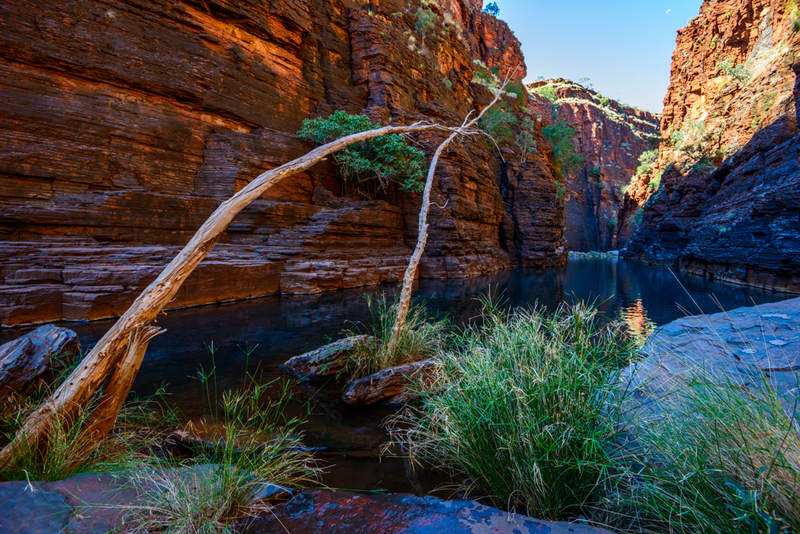 It’s loaded with heaps of amazing gorges for us to explore and I am loving every moment, wearing out my camera! But due to the nature of Nature herself, not all the gorges are accessible. Sure you might be able to climb down a waterfall, but good luck getting back out! 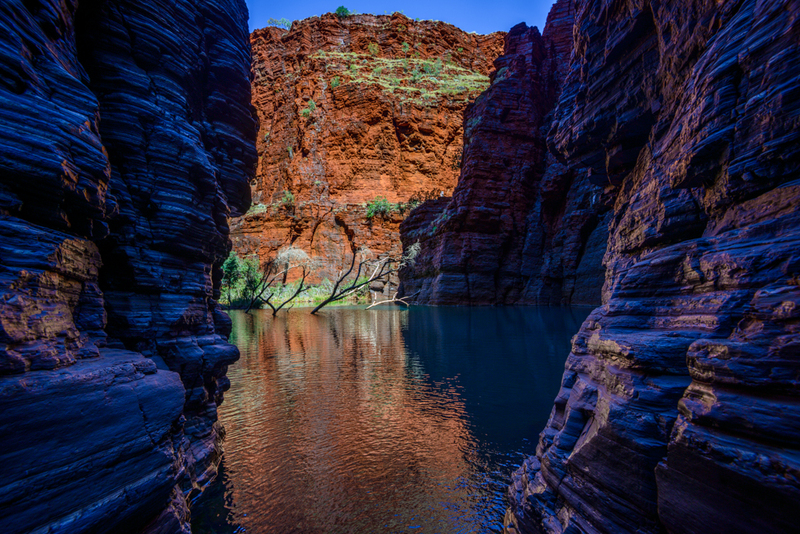 While surfing at Warra Station, a couple from Karratha told us that the West Oz Active adventure tour through the restricted gorges was a must do in Karijini. So we decided to sign up and man are we glad we did. Kitted out in wetsuits, harnesses, climbing gear, and a truck tyre inner tube we step into the chilly water and file past the restricted area sign,climbing down through a crevice, water rushing over our feet. 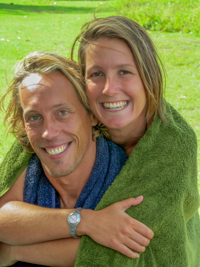 We are then lowered down over a boulder to the start of an eight meter slippery dip with a four meter drop into a deep aqua blue pool. 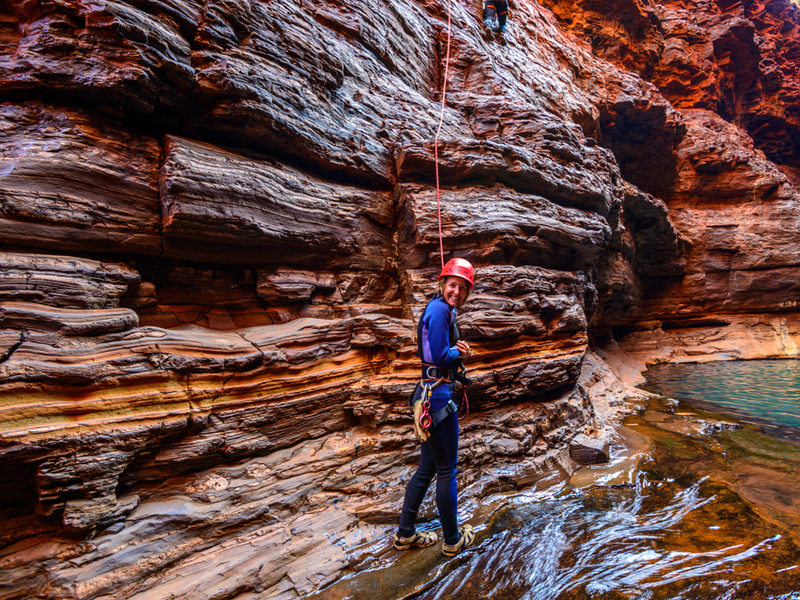 Next we abseil down to another pool and squeeze out into the magnificent Red Gorge. My photography hobby and passion is now becoming my profession (check out mattmason.com.au) and Pete from West Oz Active had a waterproof case so I could bring along my big expensive, non waterproof camera. (I must say I was a bit nervous and kept checking it for leaks, but it didn’t let in a drop.) Which was awesome because these gorges are so beautiful and I got some great shots! After some morning tea on an island between pools deep within the gorge, we snuggle into our tyre tubes and start paddling. We make our way through one and a half kilometers of deep aqua water, crossing lush little islands along the way. Floating along we take in the magnificence of this place. 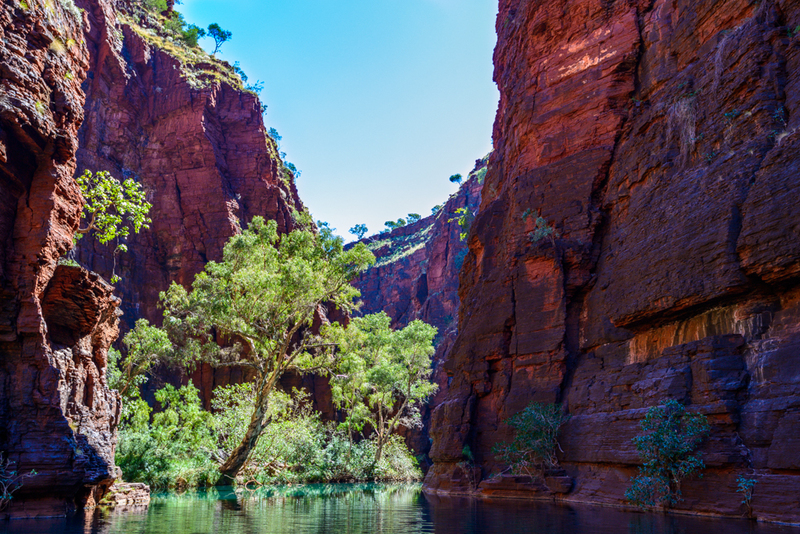 Sheer red rock leads my eyes up to the bright blue sky above. Trees impossibly clinging to the walls, the lower ones bent right over from the wet season waters. The torrent of flood seeming alien to this serene place. Our guide suggests we huddle together under a hundred and fifty year old tree and do a floating meditation. The birdsong and trickling water put me in a trance. After lunch we paddle across junction pool, where four gorges meet. Just yesterday we looked down here from above. It was like looking down a crack in the earth to its core. It now seems surreal being down here. We make our ascent up a series of waterfalls. 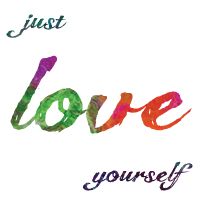 Trusting ropes and our guides we climb back out of the centre of the earth. Feeling elated I realise how I have been present most of the day. Between the peace, excitement, concentration and laughs with a great bunch of people, my mind hasn’t had much of a chance to stray from the moment. Floating in a bubble of joy we head home, feeling grateful for another day of incredible moments. Wow – what an incredible adventure. The pics are crystal clear, so I almost feel like I’m there. I know pictures never usually show the real depth or height of anything, but these seem to show real perspective – great work Matt. Jill, you look pretty hot decked out in climbing gear – red hat looks great. This place is beautiful as are your photos Matt. Extraordinary! Hi Jill & Matt ! 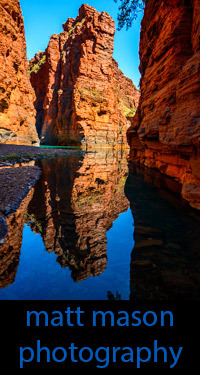 Just want to say … really like you sharing your travel experiences of WA … the photographs are magic … you capture the tranquillity and the awesome coastal and landscape … am admiring your photographs here and on your site …. seriously thinking of dipping into the pocket to purchase a few!